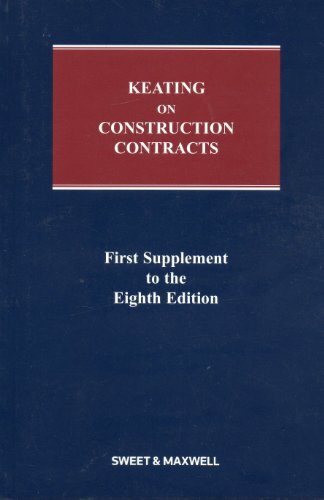 Keating On Construction Contracts: 1St Supplement: 9780421922501 Paperback - LIMEROCK BOOKS INC. Provides guidance on a subject influenced by diverse authorities including local authorities, the Home Office and the Lord Chancellor's Department. This book includes chapters on human rights and comparative law, medical content such as alcohol, drugs, hospital deaths/medical accidents, and euthanasia and care of the dying.